Own A Texas Home Why Rent When You Can Own? Own A Texas Home Today! 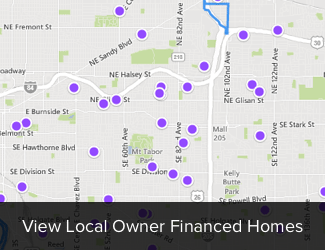 To see available local DFW homes with Owner Financing enter your info below to get started! How Do Rent To Own Homes Work In Dallas Fort Worth? This is where we add some of the kind words that we’ve been honored with from our customers, both buyers, and sellers regarding the ways we’ve been able to positively affect their lives. It’s always been our mission to help people achieve their dreams. Helping families sell their house fast that’s become a problem property or situation for them or, buy a home for their family that they didn’t think they could buy because of credit or other issues is just a great way to do that. TMC Property Solutions takes great pride in providing the best customer service possible. If we’ve helped you in the past, please drop us an e-mail and we’ll add your words here so that others can feel good about entrusting us with their needs, hopes and dreams. See what others say about our services below and please don’t hesitate to give us a call with any questions you may have or if you have a difficult buying or selling situation you need our help with. Thank you. Tim assisted me in purchasing my first home and made it a very smooth experience for me. He was very knowledgeable and guided me on the right path. Due to my low credit score, I was not able to secure a loan in my name but he suggested I could go for owner finance with TMC Property Solutions and then refinance when my credit gets better, and next thing I know I was a happy homeowner. They are fair and honest in their dealings and I would strongly recommend them. My wife and I purchased our new home recently. Closing on our new home was a catastrophe, it took 12 weeks!!! Although this was completely due to the finance company, we did not want to chance another drawn out affair and the thought of making house payments on a home we did not live in until it sold was troubling. I had seen Tim’s truck from TMC Property Solutions around town so I called him out of the blue. He quickly responded to me with several offers and we came to an agreement on the spot. There was always an open line of communication and we were kept updated at all times. After the first meeting, we closed in short order. I feel that Tim along with the work of his very pleasant team saved us several thousands of dollars that we would have spent on mortgage payments, electricity, water, taxes, etc. TMC Property Solutions comes highly recommended by us. Recently my wife and I purchased our dream home. After a series of life circumstances we could no longer afford to keep up and soon fell behind on our mortgage payments. We were headed to foreclosure but thanks to Tim and his team at TMC Property Solutions, they were able to help us avoid foreclosure and sell our house very fast. Tim made it amazingly easy to understand the process from start to finish and then completed everything he said he would, in a very short time. We are very pleased with TMC Property Solutions and their professional service, Tim’s team went well above in keeping me informed on everything and since I was out of state they did everything possible to make this process as headache free as possible. Tim took the time to help support our family and our needs. We highly recommend TMC Property Solutions for anyone needing to sell a house fast! Earlier this year I purchased a home from your company on the west side of Fort Worth. I am writing to let you know how much I appreciate all of the help and support that you gave me which allowed me to purchase this home. The home is a dream come true for me and has greatly improved the quality of my life. I am convinced that your diligence and willingness to help out in any way that you could make it possible for me to be living in this lovely home. I also appreciate your quick response to any questions that I have had or any small issues that have come up even after living in the home for several months. Not once in this whole process have I ever received anything but quick, kind and courteous help from TMC Property Solutions. Our experience in buying a home with Mr. Cook and TMC Property Solutions was, in a nutshell, refreshing. Our past experience in home buying has been trying, stressful and completely overwhelming. We found our property in a beautiful neighborhood and instantly fell in love. Mr. Cook promptly arranged a viewing and was extremely accommodating to my family. The actual purchase of the house catered to our needs; from the viewing to the closing took less than a month and was literally stress-free. Our home was spotless and move-in ready. Mr. Cook did the footwork for us to where all we had to do was pack and move. I would say the best part of the experience was that Mr. Cook gave us a chance when no one else would. He worked with us, having less than favorable credit due to our daughter’s medical condition, and placed us in a home we never thought we could have. Throughout the process, Mr. Cook became a part of our family and our story. Because of him, we will be able to provide our children with a beautiful home in a beautiful neighborhood; we will also be able to get back on our feet and build our credit with his credit counseling program. Our family cannot thank Mr. Cook and TMC Property Solutions enough for the future that he has given to us. We are indebted and forever grateful. Hope you are well. I highly recommend working with Tim at TMC Property Solutions in Weatherford TX to purchase a home. purchasing our home without seeing it first. It was an efficient and easy process. recommend them to anyone who needs a professional business to handle their property needs. TMC Property Solutions helped us tremendously. We have wanted to become a homeowner for some time. Due to some small credit issues, we were struggling w/ the ability to purchase a home. Although we were taking the necessary steps to improve our credit, this can take some time. TMC Property Solutions helped us get into a home via owner finance, allowing us time to finish paying off our debts and get our credit score up to the 620 score we need to refinance the loan. They were easy to communicate with and always very helpful with any questions we had. I would highly recommend if you have a home you want to sell, or if you want to become a homeowner! We are so happy to be in our new home and this would not be possible without TMC Property Solutions!! I lost my wife in November 2010. I decided not to stay in the house where we lived and my daughter and her family decided to sell their house also so we could purchase a new home and move in together. We signed up with “I Buy North Texas Homes” and moved to the new home. My home had been placed on a new website and it was noticed by a prospective buyer. While I was moving my furniture out of the house, this person stopped by the house to ask if it were for sale. She came in and looked around and loved the house. She came back that evening with her husband and both decided to make an offer. Thanks to the I Buy North Texas Homes website and the work by Tim Cook, the house sold and will close on April 29th. I appreciate the good work by Tim Cook and especially appreciate the day I saw his truck and wrote down the website and phone number. I highly recommend his help, especially if you need to sell quickly. Enclosed is a letter from the above-referenced consumer. This communication is being sent to you as a courtesy. We are not requesting a response from you; however, you may wish to communicate with your consumer as a customer service. Tim came out, looked at our parents home, made an offer, took care of all of the details and closed within 4 weeks. He kept us informed and guided us through the process-title, etc. If you have any questions, feel free to contact our office. I am very pleased with the services TMC Property Solutions Inc. performed in closing/settling with the companies that held liens against my property. I would recommend them to anyone that was facing the problems I was. After a really stressful year, trying to qualify for a house and being turn down several times because of our past credit history, we got to met with Tim Cook who was so helpful as well as a receptive listener and always available to answer our questions and to work with us. We are really glad that he was able to assist us and make this whole process so painless. We are FOREVER THANKFUL Tim and want to let you know how happy we are with our house. We couldn’t ask for anything better. THANKS THANKS THANKS. payments had been made before or on the due date. My wife and are very pleased with TMC properties, our interactions with Tim as well as our home! We were given the opportunity to own a beautiful home, even with a few problems on our credit. realize the dream of owning our own home and for that, we are truly grateful. We would like to take a moment to THANK YOU and your staff for the work you have done to get us into our new home, you made the process great and talked us through it all. We knew our credit has bumps and bruises and were very nervous about applying for it due to that fact, but you guys said to give it a try and worked with us. The help is still coming, now you are helping so we can improve our credit. I couldn’t believe that from the day we saw the house to the day we could move in was less than a week. The house is beautiful and a real blessing it has been for our new family. We tell people about your company and even if they think they can’t own a beautiful home to give you guys a try; I bet they will be surprised like we were. To: TMC Property Solutions, Inc.
post-it note advertisement for your company at the bank. I knew it had to be a sign. Sorry this has taken so long. me know if the testimony above is OK; it not, we can make changes. Again, thanks! March 2005 – Trying to rent a home while working over sea’s can be very difficult and frustrating. However, after being introduced to Tim Cook the task became a great deal easier. Communications between us was very easy and what problems I thought I would have were looked at by Mr. Cook as concerns and the concerns eliminated. I would recommend Mr. Cook to anyone trying to buy, sell, or rent their home or property. If he handled the issues I had from 8,000 miles away, I am sure he can handle anyones. Fort Worth, TX – August 2004 – I was looking to buy a home but was not very knowledgeable on the in’s and out’s of things. Then my luck changed when I meet Tim Cook. He helped me in so many ways. He helped me to get into the house I wanted. He also showed me how to get a loan as well. Thanks Tim. I just wanted to drop you a line and let you know how pleased we are with the service you provided us. I am retiring from the USMC soon, and can now move back home. We would have been stuck with trying to sell/rent our house here in Fort Worth, for who knows how long. With the real-estate market being what it is today, the waiting to find tenants or buyer would not work out in our best financial interests. Not to mention getting my children enrolled in the new schools, in time to start the activities they enjoy. Your service freed us from the financial obligation of our existing mortgage payments, which allowed us to finance and purchase a home in Florida. I will recommend you to anyone! My wife and I have been very pleased with TMC properties and our interaction with Tim. Our circumstances may be like others who are trying to rebound and get their financies in order while still providing a quality place to live for our family. TMC properties not only aided us in aquiring this home but referred us to a trusted credit counseling company to improve our credit score. For that we are very grateful. After deciding to move back to where we moved from, we decided to sell our home. But, we were very afraid that we wouldn’t be able to sell it. And we wouldn’t have, without the help of Tim Cooke. We talked to Tim and worked out a deal, and within 3-4 months the home sold. My loan was paid in full! We were very impressed with the way everything worked out! My loan is now paid off and I didn’t have to do any work! TMC PROPERTY SOLUTIONS, INC. did everything! LEGAL DISCLAIMER: We are not licensed realtors and we only represent ourselves when buying and selling houses.